Eschenbach, who was a protege of Herbert von Karajan is a fair pianist himself. However, in this concert he left the keyboard duties to Philharmonic newcomer, the Austrian pianist Till Fellner. He engaged fully with the spirit of this work’s first movement, a stately and aristocratic sonata form given measured and regal accompaniment by Eschenbach. The pianist luxuriated in the lengthy cadenza passage, meant to,show Mozart’s own virtuosity as a performing musician. The slow movement was taken at a very easy pace by Eschenbach, who generously allowed Fellner room to expand and explore the gentle roll of the theme. Smiles broke out at the first notes of the familiar finale, an elaborate rondo and call-and-response between player and orchestra. It was written to show Mozart’s almost superhuman skill at the piano in front of a royal audience. Soloist and orchestra reached a sense of mutual satisfaction and joy in music-making, ending an auspicious debut for Fellner. The story of Bruckner’s struggle to complete his Ninth Symphony is a tragic one. The composer finished the first draft of the first three movements and found himself wrestling with the Fourth. Having great difficulty with his health (he had been moved into a hut on the grounds of Schonbrunn Palace because he could no longer climb stairs,) the composer sketched most of a Fourth movement. 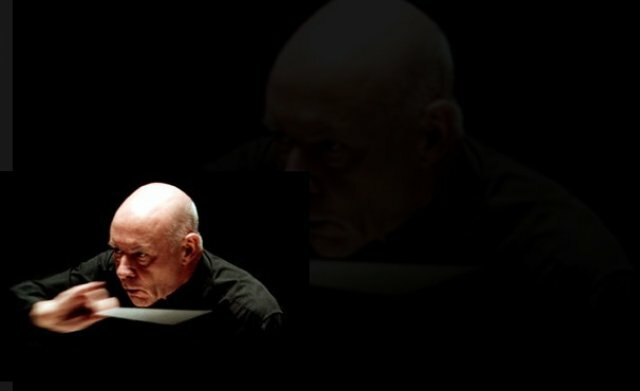 However, while an ersatz version nod that finale exists and has been performed, Eschenbach chose the standard three part torso ending with the slow movement. He chose a profound and meditative pace for the opening, a theme that puts a tiny bowed figure in the strings against an overwhelming wall of brass (supported by multiple trombones and Wagner tuba, representing the majesty of the next world.) Bruckner explores this approach to a celestial afterlife, continually reaching a stopping point and restarting the long limb to the heaven-moving brass. The players were up for this long struggle, with precise strings and powerful brass holding the ear enraptured. However, Eschenbach judicious approach to this music did not serve the middle movement well. This scherzo alternates a nervous, descending pizzicato idea in the massed strings with a brutal, almost, primal rhythm roaring out of the brass and timpani. More savagery was warranted than appeared here, although the graceful trio section had considerable Viennese charm. The reappearance of,the dance theme in the reprise section had the proper force and weight.